I am a fine art graduate who fell into the IT world after working with a new media international arts organisation and generally playing around with analogue and digital technologies and computers too much! 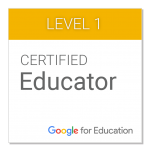 From there, I moved into education and now have been employed within the field of Educational Technology since 2004. I have been working at my current school, Queen Margaret’s since 2012 as Director of Digital Strategy. All views on here are my personal views etc. I am trained as a CEOP Ambassador which not only allows me to deliver the CEOP eSafety training resources, but also cascade train other professionals to use these resources too. I also have ITIL qualifications and a foundation degree in “Design and Development of e-learning” which help me to apply my knowledge and skills to both the technical side of my role and also in the support and development of technology in the classroom. 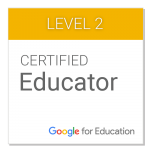 I am interested in all things EdTech and I am passionate about e-learning and using technology to enhance and enrich the learning experience. Since 2013 I have had the pleasure of teaching Computer Science at my school and have worked with colleagues to design, develop and resource our Key Stage 3 Computer Science curriculum. 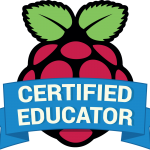 This has been aided in no small part by my training as a Raspberry Pi Certified Educator, a Google Certified Educator Level 1 and a Google Certified Educator Level 2. Feel free to get in touch through the contact page or via Twitter.